The Dragon of Shandon began in 2006 as a street parade celebration of Samhain and creative partnership between artists and communities which has taken place on the night of October 31st in the heart of Shandon, Cork. 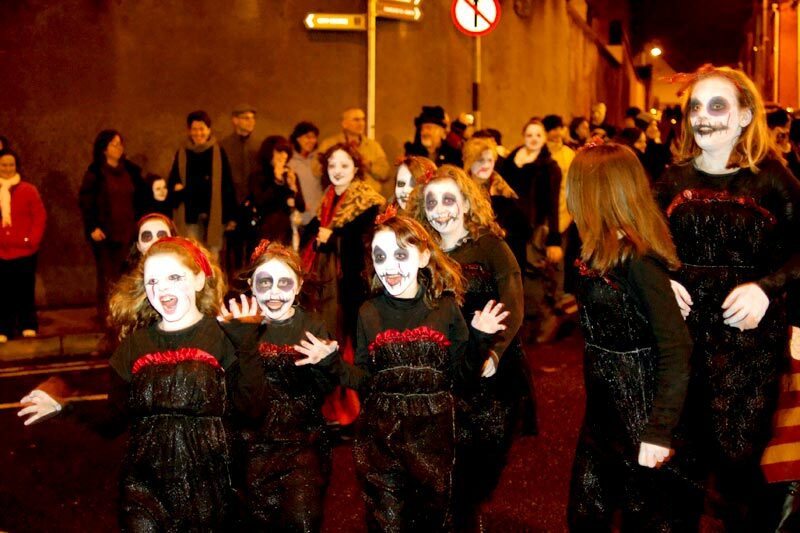 Each year thousands take to the streets of Shandon on Cork ’s Northside to walk with the Dragon as it travels between worlds in a celebration of the living and the dead accompanied by an assortment of creatures from the underworld. The evening parade is the result of an extensive outreach and participatory programme that spans several months of workshops with youth groups, the community and voluntary sector, schools and voluntary participants. A commitment to high standards of practice both in artistic and participatory engagement are at the core of each annual parade with groups collaborating on an annual basis with artists to create original work that is reflective of their experiences. The centrepiece of each parade is the Dragon, 36ft in length and made entirely of tape. 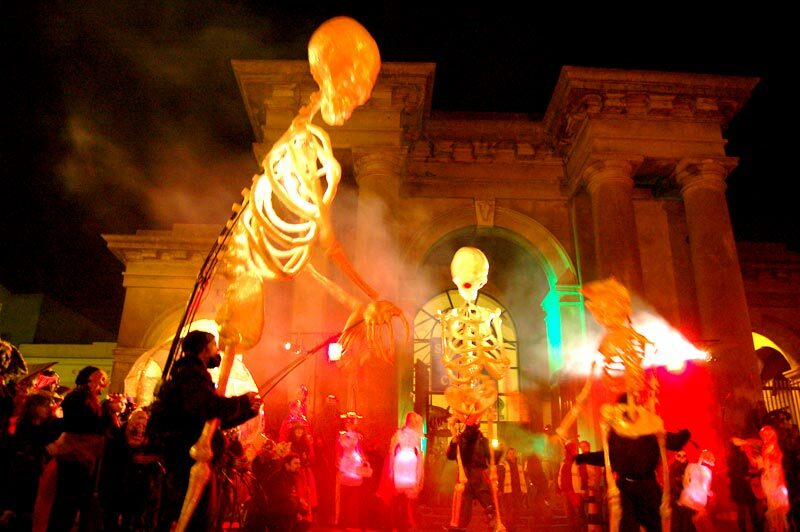 This spectacular giant puppet is animated by twelve puppeteers on the night who walk it through the streets of Shandon along with an array of illuminated props, lanterns and characters. The Dragon of Shandon would celebrate and build upon existing local traditions and culture rather than imposing an event purely from an artistic standpoint. A strong artistic vision would permeate the layers of collaborative engagement. The structures and processes of the event could be appropriated by communities and groups, a model that could be replicated by others elsewhere. The event would follow a natural growth curve, starting small and deliberately low profile and if it was to be successful its growth would occur naturally. From the beginning we had a tiny operational budget to make it happen and rather be hampered by this obvious fact it should become a strength rather than a weakness and influence a strong ethos of voluntary participation and a spirit of can do rather than can’t. 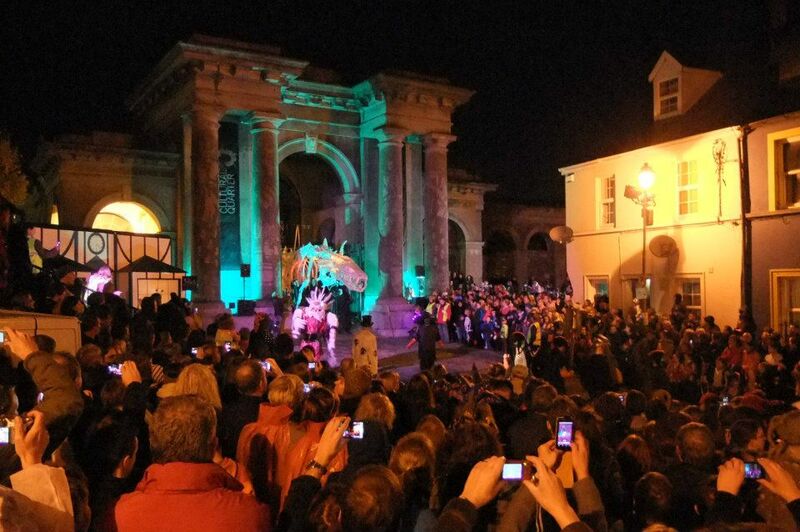 And so in Shandon the Dragon has found a rich and varied landscape making it a natural home for an outdoor evening event. From the narrow lanes, the rich architectuure, the presence of the Lee at the foot of the area, the residential community and the large number of community and voluntary organisations that operate in and around the area. 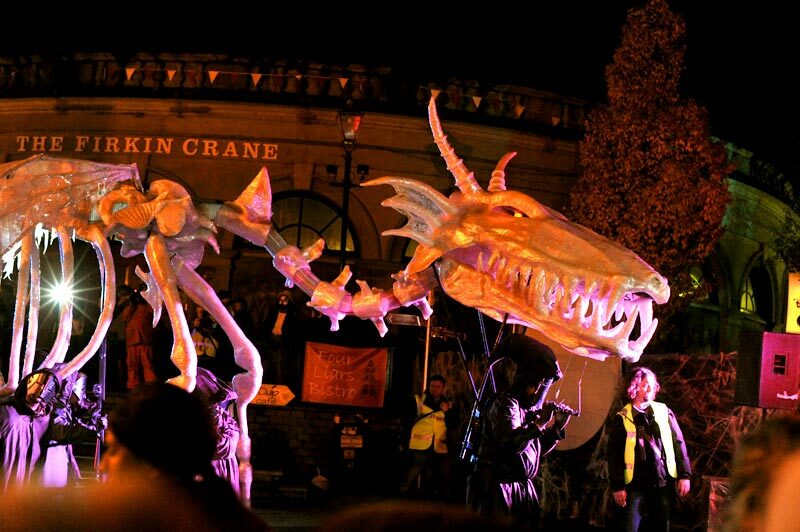 Artlink’s role in the story of the Dragon has been simply to enable, bring people together and ultimately inspire so that for one night people take to the streets in a creative celebration of Samhain - a time between times.